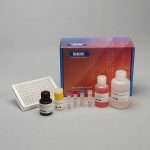 The Salimetrics SIgA Indirect Enzyme Immunoassay Kit is a competitive immunoassay specifically designed and validated for the quantitative measurement of salivary SIgA. It is not intended for diagnostic use. This assay kit was designed and optimized for salivary research use in humans. Salimetrics has not validated this kit for serum, plasma or saliva samples from any other species. Secretory Immunoglobulin A (SIgA) is the dominant immunoglobulin in external secretions that bathe mucosal surfaces (respiratory, intestinal, and reproductive), where it acts as a key component of the immune system’s “first line of defense” against microbial invasion. Dimeric IgA secreted by mucosal plasma cells adjacent to the salivary glands is bound and transported through the salivary cells by a polymeric Ig receptor (pIgR). The IgA dimer, in complex with a fragment of the pIgR polypeptide, is then released into saliva as secretory IgA (SIgA). IgA-producing plasma cells are generally undetectable in the mucosae before 10 days of age, but they increase rapidly thereafter. SIgA levels are generally thought to be very low in newborn infants and to rise quickly during the first month of life. Levels of salivary SIgA continue to increase as children age, stabilizing within the adult range around 5-7 years. Reports of changes in SIgA secretion in old age are inconsistent, with both increases and decreases having been observed. Relative numbers of IgA-producing plasma cells are higher in the submandibular and sublingual glands compared to the parotid glands, and even higher in certain minor glands, leading to differing levels of SIgA in the secretions from these glands. It is speculated that greater density of plasma cells in certain glands may be due to increased antigenic interactions in those parts of the mouth. The active transport mechanism into saliva for SIgA serves as a rate-limiting factor, and salivary levels of SIgA decrease as flow rates increase. The contributions to whole saliva from the various salivary glands in the mouth also vary greatly according to the rate of flow. The literature therefore recommends that variability in salivary flow rate should be taken into account when estimating salivary levels of SIgA and making comparisons between individuals. Salivary SIgA levels vary in a complex fashion in response to stress, mood, and emotionality. The present enzyme immunoassay protocol represents a significant advance over the traditional SIgA measurement approach to employing single radial immunodiffusion (SRID). This enzyme immunoassay is designed to capture the full range of salivary SIgA levels and uses only 25 μL of saliva per test, with minimal incubation times. This is an indirect competitive immunoassay kit. A constant amount of goat anti-human SIgA conjugated to horseradish peroxidase is added to tubes containing specific dilutions of standards or saliva. 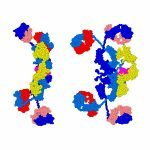 The antibody enzyme conjugate binds to the SIgA in the standard or saliva samples. The amount of free antibody enzyme conjugate remaining is inversely proportional to the amount of SIgA present in the sample. After incubation and mixing, an equal solution from each tube is added in duplicate to the microtitre plate coated with human SIgA. The free or unbound antibody enzyme conjugate binds to the SIgA on the plate. After incubation, unbound components are washed away. Bound SIgA Antibody Enzyme Conjugate is measured by the reaction of the horseradish peroxidase enzyme to the substrate tetramethylbenzidine (TMB). This reaction produces a blue color. A yellow color is formed after stopping the reaction with an acidic solution. The optical density is read on a standard plate reader at 450 nm. The amount of SIgA Antibody Enzyme Conjugate detected is inversely proportional to the amount of SIgA present in the sample.